يضمن فندق Pacific Plaza Apartments الذي رمم في لزائريه قضاء وقت ممتع في جولد كوست، سواء جاؤوا في رحلة عمل أو سياحة. يحظى هذا الفندق ذو 3.5 نجمات بمكان ممتاز يسمح بالوصول إلى المعالم السياحية الأكبر في المدينة، فهو يبعد مسافة 1 km عن صخب المدينة. يشكل هذا الفندق ملاذاَ مريحاً للاسترخاء ويمنح زواره فرصة للاستجمام والتجدد، وهو يقع على بعد خطوات من المعالم السياحية الكثيرة للمدينة كمثل: King Tutts Putt Put, Slingshot Gold Coast, Adrenalin Park. استمتع بالخدمات الراقية والضيافة التي لا مثيل لها بهذا الفندق في جولد كوست. تتضمن الميزات الرئيسية في هذا الفندق: تخزين الأمتعة, صف السيارات, رعاية أطفال, غرفة عائلية, مرافق للشواء. بالإضافة لهذا,تتضمن كل غرف الضيوف مجموعة واسعة من وسائل الراحة . بعض الغرف توفر حتى حمام إضافي, بياضات, مرآة, صوفا, مناشف لإرضاء أكثر الضيوف تطلباً. صممت خدمات الاستجمام في الفندق والتي تتضمن حوض استحمام ساخن, مركز للياقة البدنية, ساونا, حمام سباحة خارجي, حديقة لمساعدتك على الاسترخاء والراحة. يحظى فندق Pacific Plaza Apartments بموقع ممتاز وخدمات يصعب منافستها. 2 bedrooms, 2 separate toilets/bathroom, large kitchen, and basement parking. This setting is heaven when travelling with kids. The apartment is very spacious with amazing view. Highly recommend. Awesome place, great location, trams only a few meters away and the view was beautiful. We could see the whales from the patio everyday. We would stay there again. Lovely view. Room nice some old decor but clean. Checking in after hours is a nightmare- another guest took our envelope so we had no parking as requested, no wifi and the after hours reception is offsite and have never been to the site. They could not advise of anything - safety switch went off and didn’t know where to turn on power back on- not where to park in visitors - told us to go look or no codes for wifi access. Onsite management only there for check out basically. Onsite management knew nothing of checkin drama and were lovely. But communication after hours rubbish. Very modern and large size apartment. Would highly recommend. Looks like it has recently been refurbished. Great location. 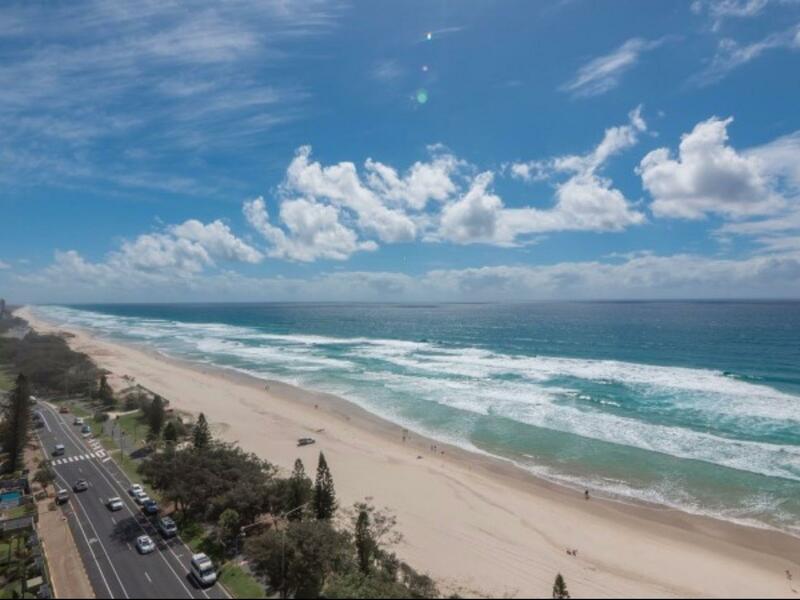 Easy walk to Surfers Paradise, trams etc. Nice Apartments. Friendly and helpful staff. Good BBQ area and pool. would book again. I love the apartment so much. it is very clean. and the location is the best. very near to supermarket. and the staff are friendly and helpful. The ocean view from the apartment was great, we were on the 3rd floor. The in built furnishings of the apartment was dated. The sofa didn't look very clean and the wardrobes were peeling off on the insides. The shower was the most disappointing. The shower head is fixed very high up to the wall and when I took a shower, the water flowed out to the laundry area. Location nearby tram station. The only thing i was being charged cleaning fee which im not informed to clear the rubbish n clean the dishes.. Overall was gd though..
Everything was great, right on the beach, and a good walk to centre of Surfers Paradise, which gave us some exercise. We stayed on the 5th Floor in a 2 bedroom apartment. Our car was too high to fit in the undercover park so we had to park out on the street, which was 3 hour parking. We were never offered the guest parking. The first thing we noticed was the strong smell of cigarette smoke in the hallway and a giant cockroach in the ensuite bathroom. Griller was dirty. Hot bedrooms with no aircon. Pool area was nice, good location. Travel 2 couples with a baby, we enjoy this hotel for all comfort, safety parking car and acess. Appartment is all equiped and we didn't use all for a weekend. Staff is very professional so helpful. Despite very late checkin, all was prepared for that. Location is wonderful, just front beach, we enjoy from terrace, we laso get view on river because we get appartment in extremty of building. 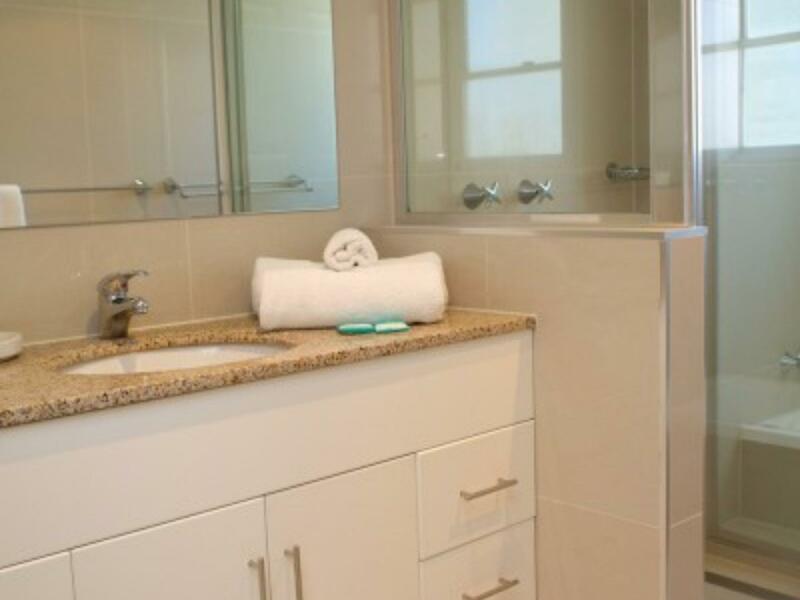 We were lucky to be given one of the apartments with a 270 degree view of Surfers Paradise beach. The windows need cleaning though as all of them are muggy and dirty. The room had a bottle cap and cockroach when we arrived but we didn't bother with it. It's good value if you were there with a few friends. I would stay again I suppose. Very enjoyable and relaxing. The pool was designed with little kids in mind. 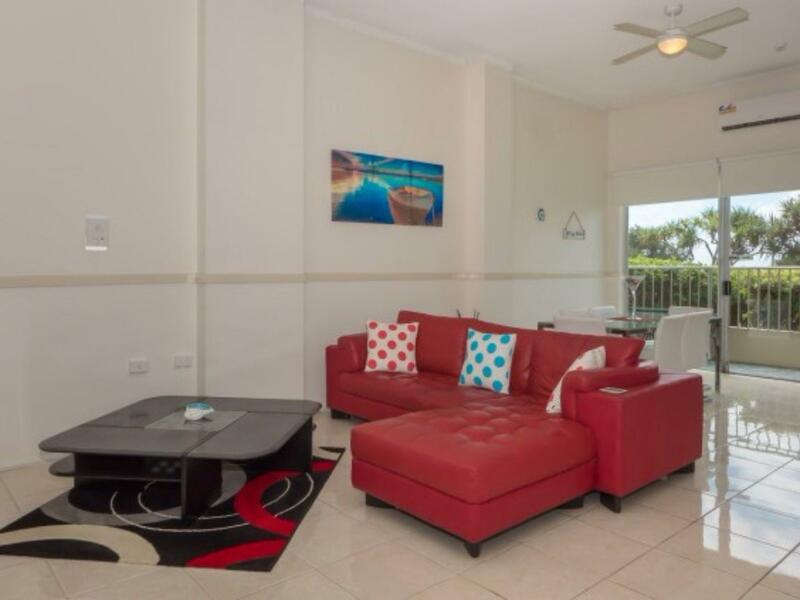 The apartment is located about 10 mins walk to Surfer Paradise. The apartment itself is very clean though the furniture looked a bit old. It is fully equip. They have cooking utensils, kitchen wares, dish cleaner, washing machine, dryer, vacuum cleaner and almost everything you need for a house. But u need to clean up and dispose all rubbish when you leave else they may charge you for cleaning. Overall for A100 for 2 room apt, i would say very good value for money. Will come back again.